Easter is the most important time of the Christian calendar as we celebrate the death and resurrection of Jesus Christ. Join us for meaningful services on Good Friday and Easter Sunday when we will look at the heart of the cross, and the hope from the tomb. All of these events and services are free to attend – we’d love to see you there! Hear an eye witness testimony of Jesus' entry to Jerusalem in the week before Easter. Join us on Good Friday morning as we explore the heart of the cross. Followed by communion. Sunday School and (unmanned) crèche will be provided. 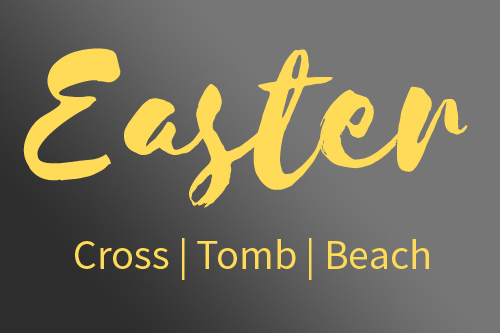 Celebrate Easter Sunday with us as we see the hope from the empty tomb! This service is suitable for all ages and backgrounds. A crèche will be provided. Join us in the evening of Easter Sunday to hear from God's word.